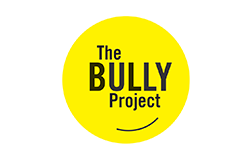 "The Bully Project is the social action campaign inspired by the award-winning film BULLY. We’ve sparked a national movement to stop bullying that is transforming kids’ lives and changing a culture of bullying into one of empathy and action. The power of our work lies in the participation of individuals like you and the remarkable list of partners we’ve gathered who collectively work to create safe, caring, and respectful schools and communities. Our goal is to reach 10 million kids or more, causing a tipping point that ends bullying in America." My illustration "Shadow Play" is targeted to the victims as well as the people around. It becomes very difficult for someone who is victim to bullying to speak up about their situation. It also becomes the responsibility of others to start seeing and help break the silence for those who cannot do so.